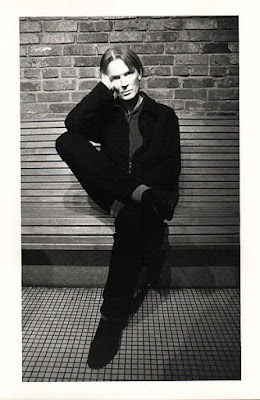 I just learned that Jim Carroll--poet, author, musician--passed away last Friday. He was a prolific poet but became famous for his memoir, Basketball Diaries (which was later made into a movie starring Leonardo DiCaprio). Some claim that his 1980 album, Catholic Boy, was the last great punk album. His writings (along with Kerouac, Ginsburg, and others) had a great influence on me during my crazy youth...his song, People Who Died, was one of my favorites in the early 1980's. Below is a live version of The Jim Carroll Band singing that song. To read his New York Times obituary, click here; to read a bio of him on wikipedia, click here.